Problems with refill and new cartridges for Xerox Phaser 6000, 6010 and WorkCentre 6015. How to find out the region number. You refilled cartridges, replaced the chips and the device still doesn’t work? The article is about causes and possible solutions of the problem. Devices for different regions are supplied to the market. Official supply – region 2. Illegel “gray” supply – regions 1 and 3. Therefore, if you have printer for 2 region and you bought cartridges for 3, they won’t be in operation and corresponding message will be displayed on the screen. The same situation is with cartridges refill. It’s imperative to set the chip with corresponding region ortherwise the printer won’t operate. In order to find out the region of you device, print the configuration page (see the picture on the right). Depending on the model, this settings page is printed in different ways. All the manipulations with pringting should be carried out using not blocked unit, ortherwise it will be possible to find out the region number only through disassembling the cartridge or corresponding chips. If possible, print necessary pages in advance and write down or rembmeber your region number. Always name the number on further appeal for cartridge refill or when buying new ones. How to find out the region of XeroxPhaser 6000, 6000b? 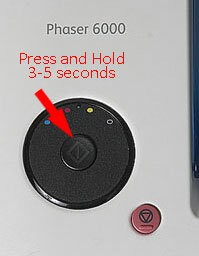 – Press and hold for 3-5 seconds the central button of the control unit. The device will print a few pages. 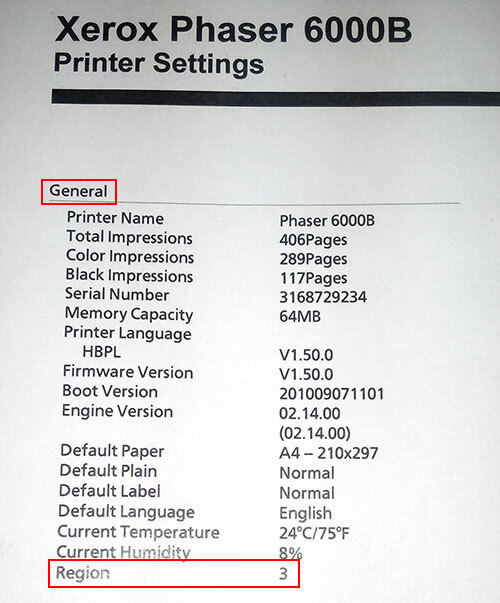 You need to find a sheet “Printer settings”, section “General” and the last line “Region” will correspond to your region number – 1, 2, 3. Remember that number and name it when refilling or buying new cartridges. You can also make a note on your device with a region number, to know the it in case of blocking or inability to print necessary pages. How to find out the region of XeroxPhaser 6010, 6010n? 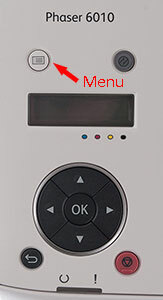 – Click the upper left button “Menu” on the control panel. – Select the menu “Information Pages” with the control buttons. Confirm with “Ok”. – Then select “Printer Settings” and click “Ok”. The device will print settings. In the last paragraph of section “General” you will find necessary information “Region” with corresponding number 1, 2, 3. Write it down or remember to avoid misunderstandings when refilling or buying cartridges. How to find out the region of XeroxWorkCentre 6015, 6015b, 6015n, 6015ni? – Push the button “System Menu” on the printer. It is located on the right side of the control keys (joystick). – Select “Information pages” and click “Ok”. – You will see “System Settings” menu. Confirm by pressing “Ok”. MFP will print system settings. In the last paragraph of section “General” will be necessary information. Write down or remember the region number. Name it during subsequent cartridge refill or when buying new ones.